We love serving new clients all over the country! 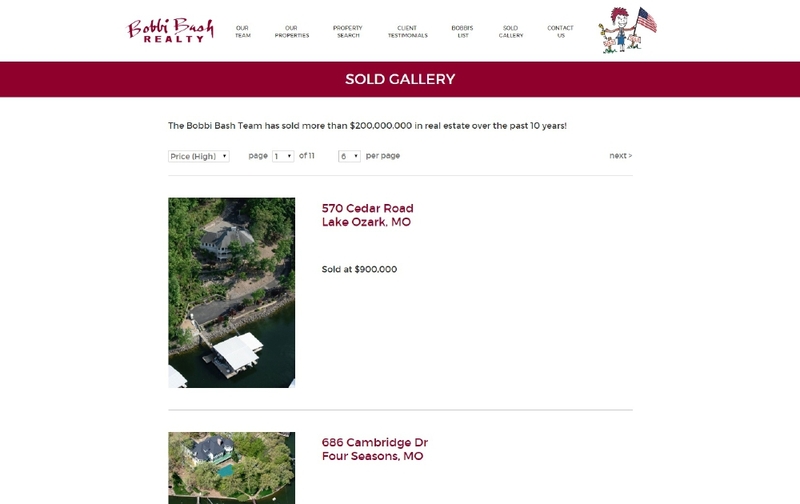 Bobbi, the CEO of Bobbi Bash Realty in Lake Ozark, Missouri stopped by our office during a trip in Southern California and chose SM Sold to redesign her website. 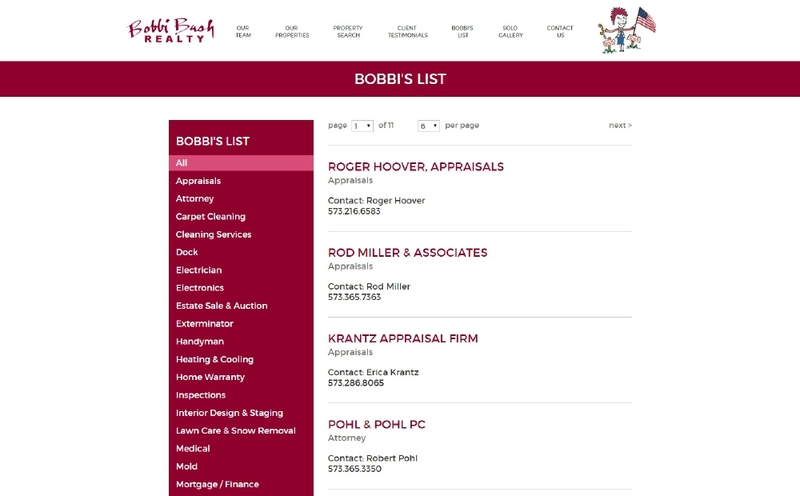 As one of the most successful realtors in Missouri, Bobbi needed a cutting edge website to reflect her dynamic personnality and unmatched customer service. 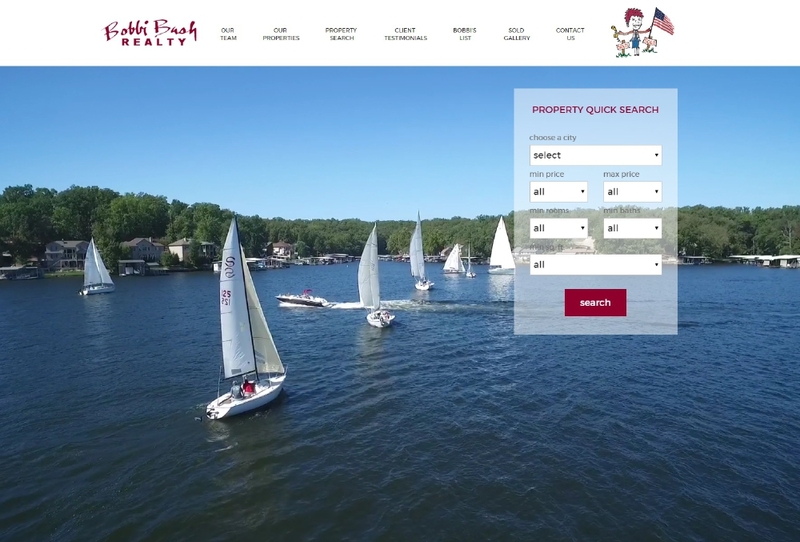 We incorporated a HD video into the homepage, integrated Facebook news and a framed IDX solutions for MLS searches. 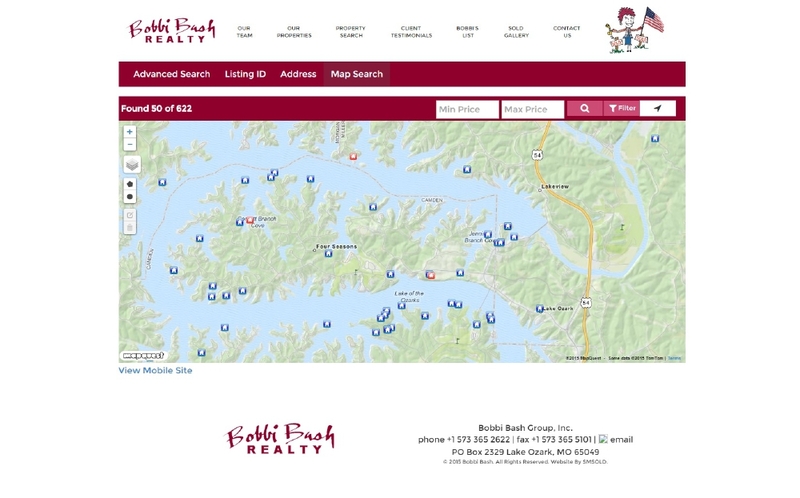 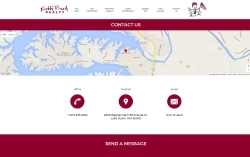 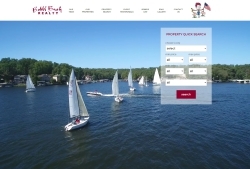 Bobbi's fully responsive website helps her stand out as the top Agent in the Lake of the Ozarks area.